The landscape in which community foundations operate is rapidly evolving. With the proliferation of giving options for donors, it’s crucial for community foundations to understand what their donors value and how that aligns with their role in the community. The Donor Perception Report (DPR) provides community foundations with candid feedback and insights based on responses to an easy-to-implement donor survey. The DPR is the only survey that benchmarks donor perceptions across community foundations, and it’s based on extensive research and analysis about what drives donor satisfaction. Dozens of foundations have used the DPR and its comparative data to strengthen their work with donors. The Donor Perception Report provided us with valuable feedback that encouraged us to restructure our philanthropic planning department and services and add new metrics for success. Since our Programs Team conducted the Grantee Perception Report at the same time, we have had the added value of working closely with our colleagues to define and communicate community leadership and impact. You are what you measure. The data provided by The Center for Effective Philanthropy (CEP) from the Donor Perception Report (DPR) was insightful and provided us with key information that gave a baseline for how we can better serve our donors as compared with community foundations nationwide. CEP did an excellent job at contacting and communicating with our donors in a way which encouraged their feedback. The level of service provided by CEP in conducting the survey and providing us with the results was outstanding. Working with the Center for Effective Philanthropy was a very positive experience for the Oklahoma City Community Foundation. The CEP staff was very professional and their expertise in data collection is impressive. We were pleased with the entire process of the Donor Perception Report and the information we gained from our Donor Perception Report will play an important role in our upcoming long-range planning process. 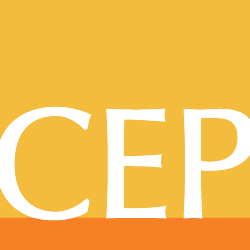 We would certainly recommend CEP to any community foundation seeking to improve its effectiveness and gain insight into its donors’ perceptions. The Donor Perception Report has been used by more than 70 community foundations of every size. The Arizona Community Foundation discusses how they’ve strengthened their work with donors using the DPR over time. The Grand Rapids Community Foundation talks about what they learned from their first DPR and how they’ve tracked progress since. The Greater Cincinnati Foundation makes changes to enhance relationships with donors. The Communities Foundation of Texas shares how they plan to respond to feedback from donors. The Community Foundation of Greater Memphis reports back what they learned from donors.